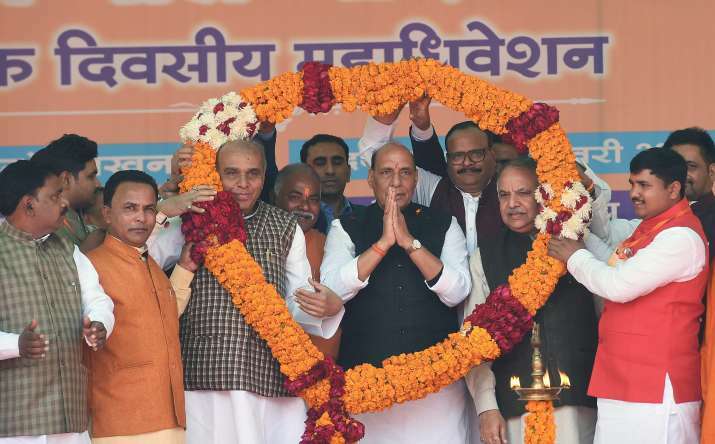 Union Home Minister Rajnath Singh on Sunday said that India has developed a strong image across the world, now, he says, the world knows that 'we can attack our enemies not only on our soil, but also in their territory'. “India’s image in the world has become that of a strong nation and we have given a strong message to the world that we can attack our enemies not only on our soil, but also in their territory. India has developed this power,” Singh said after a public meeting in Lucknow. “A few months ago, Pakistan, in an act of cowardice, attacked and martyred 17 of our jawans. Prime Minister Narendra Modi consulted all of us on this serious issue, and the Indian Army entered the Pakistani area and killed the militants,” Singh said. The home minister added that India wants to maintain a friendly relationship with Pakistan. “But Pakistan is not mending its ways,” Singh said. “I want to assure you that our government will not let India to bow its head,” he said. The HM attributed India's increased situation of strength to the leadership of Prime Minister Narendra Modi. "India’s prestige in the global arena is “rising rapidly”, he said referring to growing acceptance of India's economic polices. Singh was addressing a meeting of ‘Bharatiya Railway Maal Godaam Shramik Sangh’ in Lucknow.